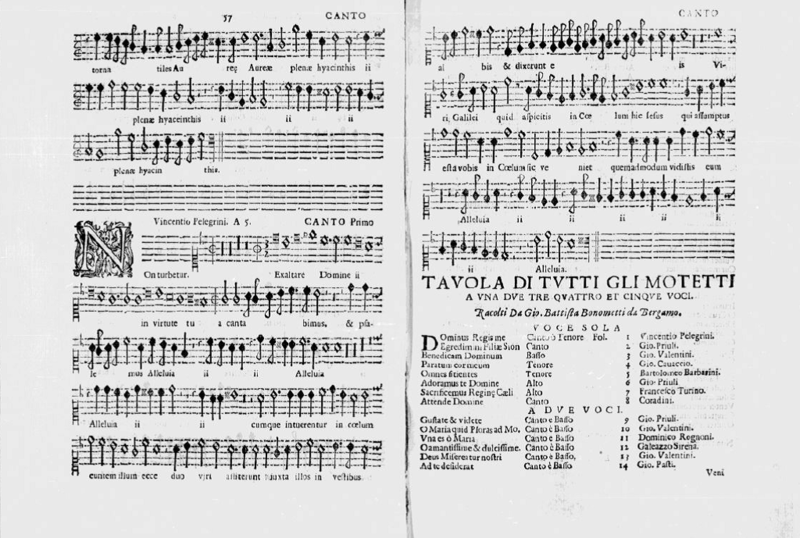 In 1615, exactly 400 years from 2015, a famous collection of small-scale concertato motets entitled Parnassus Musicus Ferdinandaeus, printed in Venice, was dedicated to Archduke Ferdinand II, then ruler of Inner Austria based in the Styrian capital of Graz. This collection reflects perfectly his musical taste and interest in the then newest and most fashionable achievements of the Italian music phenomenon. Graz became, however, long before 1615 (since 1564 when the city came under the rule of Archduke Karl II, Ferdinand’s father) an important cultural and musical centre and its Court Chapel a hub of Italian, especially Venetian, music. Karl as well as his wife Maria of Bavaria, whom he married in 1571, were both great music lovers and their liking for Italian, especially Venetian, music is apparent from their careful choice of Court musicians. The already well-established ties with Venice strengthened during the rule of Archduke Ferdinand, who in 1595 took over the government of Inner Austria. 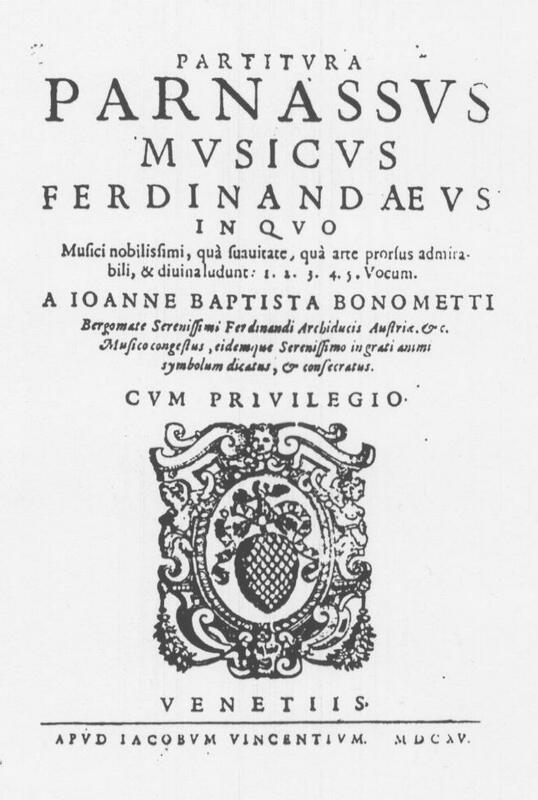 Ferdinand substantially enlarged his musical personnel – among his Italian Court musicians in the first two decades of the seventeenth century about a dozen were also worthy composers. The Archduke was so keen on the Italian style of music that he even sent some of the local musicians to Venice to study with the then most famous and fashionable masters. The ruler’s inclinations towards music are well documented also through a number of musical works by some of the foremost Italian composers dedicated to him during his years in Graz. However, the obvious Italian orientation of the Graz Music Chapel was not only the result of Ferdinand’s own musical taste, but also a logical consequence of the carefully planned dynastic marriages in the Archducal family. 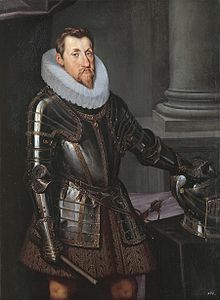 In 1600 Ferdinand married his cousin Princess Maria Anna of Bavaria (1574–1616) and the already existing contacts with the strongly Italianate Munich Court Chapel were thereby reinforced. The family was doubly tied with the likewise Italianate Polish Court, for in 1592 King Sigismund III of Poland married Anna († 1598), and in 1605 Constantia, both Ferdinand’s sisters. The exchange of musicians between the two Courts is well documented. In 1599 Margaretha, another of his sisters, married the ruler of Milan, the Spanish King Philipp III, and became Queen of Spain, Portugal, Naples and Sicily, and in 1608 Maria Magdalena became the consort of the future Grand Duke Cosimo II of Florence. Yet another sister, Maria Christina, married abroad and went to Transylvania. The archduke’s younger brother Karl became Bishop of Breslau (today Wroclaw) and resided in Neisse (Nysa) in Silesia. The conference proposes to study the mobility of music and musicians in the network of music centres and personal connections with the Graz Court Music Chapel (Munich, Cracow, Venice, Milan, Florence, Prague, Neisse, etc. ), with special regard to small-scale concertato motets composed by Parnassus’ composers or in their temporal and local vicinity, and finally Parnassus’ European legacy. The official language of the conference will be English. Papers in Slovenian and Italian will be accompanied by a power-point presentation in English serving as a summary of the paper. A book of abstracts is planned to come out before the conference. For further information on the conference, please contact Metoda Kokole (Institute of Musicology, ZRC SAZU, Novi trg 2, SI–1000 Ljubljana, metoda.kokole@zrc-sazu.si).